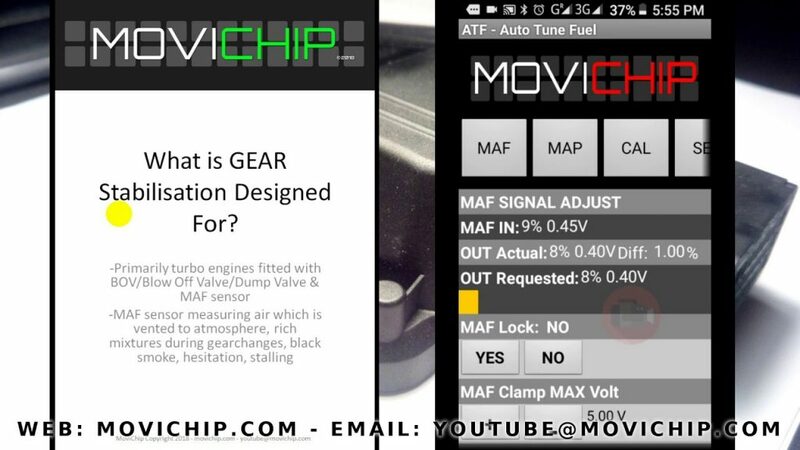 Why do we want to stabilise/control the MAF sensor signal on cars fitted with a BOV? During gear changes the BOV is venting air to the atmosphere, that has been measured/metered by the MAF sensor. This causes a rich air fuel ratio through the engine during the gearchange. Depending on the level of tune and the type of engine, the problem this over fuelling causes can vary from simply rich mixtures with no noticeable effect for the driver, up to engine stalling during the gear change in extreme circumstances, hesitation being somewhere in the middle. A solution to this problem is to stabilise/control the MAF signal going to the ECU. The gear stabilisation voltage is chosen by the end user and can be set between 0 & 1 volt. 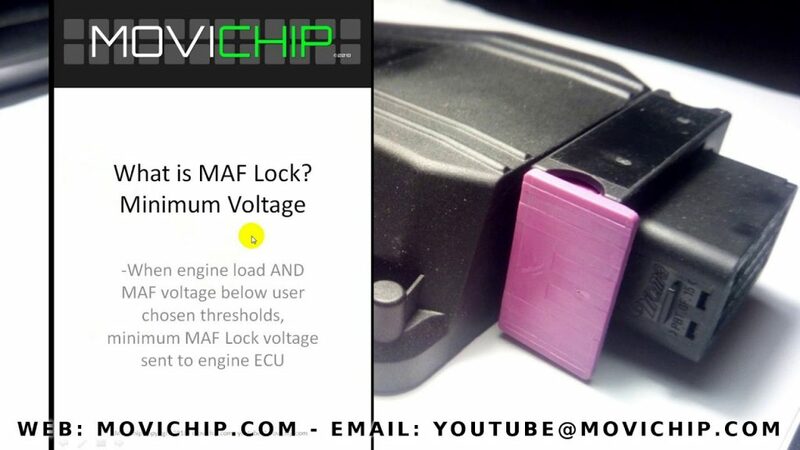 This will be the fixed MAF voltage that the ATF sends to the engine’s ECU during the gear change. How does the ATF know that the gear is being changed? 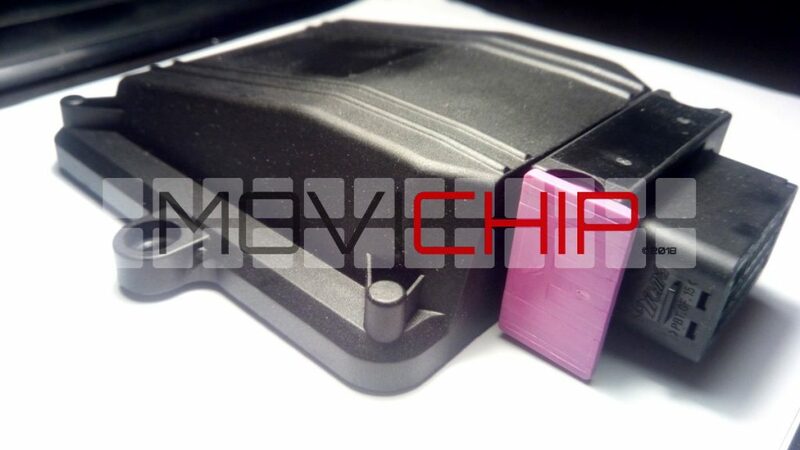 The vacuum trigger point is up to the user decide, monitor the vacuum reading on the MoviChip App with the engine at various RPMs with the throttle closed.